class="page-template-default page page-id-5474 wpb-js-composer js-comp-ver-3.6.12 vc_responsive"
The WFPA mission statement is: To gather the global community of front porch minded musicians and help then do good work, bring roots music education into schools free of charge, and enhance communities by redirecting the tremendous energies of local musicians. 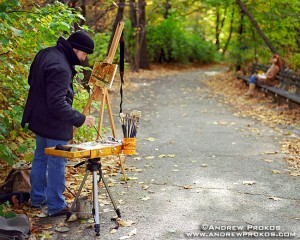 Pursuing Art and not Business is the best Business for the Arts. 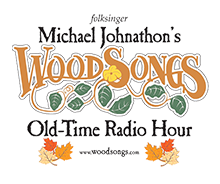 The WoodSongs Front Porch Association in partnership with the University of Kentucky has launched a global, grassroots list serve to encourage conversation among the artists, writers, and dreamers who are the SongFarmers. Sign up for the FREE SongFarmers-L international list serve and be part of the front porch conversation. Meet fellow musicians and music lovers from around the world, who play for the love of music and community. Discuss art, dreams, writing, community building, music, instruments, songs, projects, … bluegrass, folk, old time, blues and more all welcome. The list will NOT participate in religious, political, sexual, holiday, bigoted or demeaning conversation threads. It’s FREE to join … your email address is not shared or sold … and you do not have to be a member of the WFPA. NEW! Start a hometown SongFarmers Music Club! Don’t miss the 2017 Gathering of WFPA SongFarmers! The WFPA is different because we are not a trade organization. The main goal of the WFPA is to spread the music and spirit of the Front Porch into schools and communities around the World. “The WoodSongs Gathering” is the yearly conference and music festival where members can play their music, showcase and learn to share their skills in their own hometowns in an effective, meaningful way. Your small membership to the WFPA supports artists and the art form, but also supports the CLASSROOM projects as well. Step off the treadmill and back onto the Front Porch, join the WFPA and learn to become a Song Farmer and help restore the simple love of music back into your hometown, schools … and on front porches around the world. The GATHERING is our yearly festival and conference for WFPA members. Imagine an international gathering of musicians, artists, writers, poets, families and fans in a rustic autumn setting setting to share their music, stories, experiences and wisdom. Workshops, log cabin lectures, front porch children stages, music lessons and major concert showcases will be part of the two day Gathering. Think of it as a festival and member conference with purpose. Open stages will be abundant, including the wonderful SEEDLINGS Stage for children to perform. Camping and hotels are nearby and easily accessible, as will garden-to-table food and drink concessions. MUSICIANS bring your instruments… ARTISTS bring your easels! ____ Please use my donation of $_______ wisely! ____Yes, put me on the mailing for WFPA Membership music news, the The Gathering and more. Josh Dunson: agent, journalist-author, social activist and creative force behind Real People’s Music for 40 years.